As we wrote on the opening post, we went to Sweden to see a WRC rally and while we were there, we bought a crashed 2010 Golf R. Big part of the parts were already sold (including doors and interior), but it still had exactly what we needed: drivetrain and some body parts that we needed. The engine was extra, but we believed it’s easy to sell. 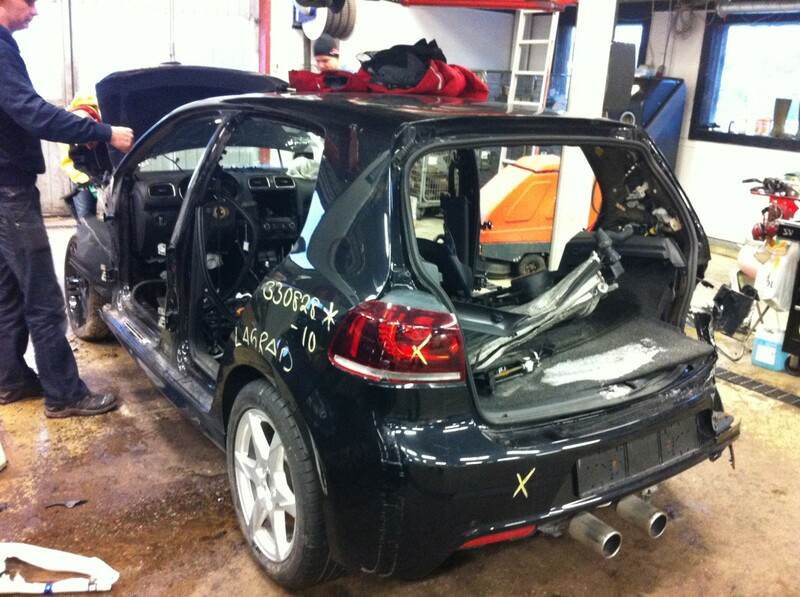 Golf R at car breakers where we bought it. It had been crashed from the front and right rear corner. 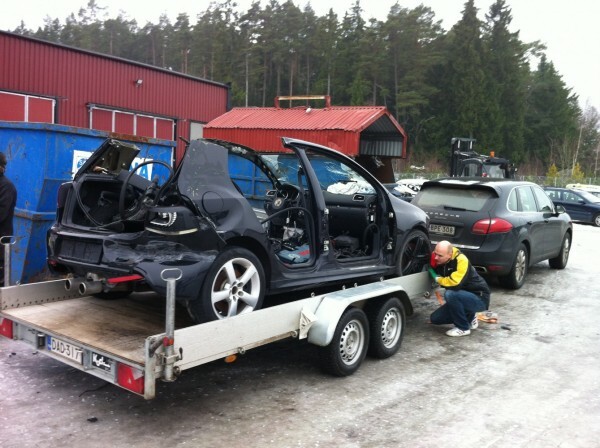 It was not that easy though, the breakers was not allowed to sell the whole car… to avoid that some crazy Finns would repair a car that has been ruled for demolishing. So we had to “destroy” it first. 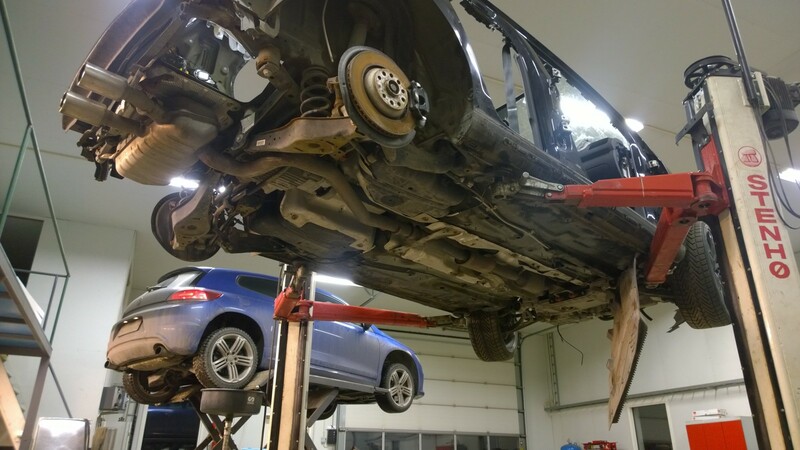 We decided to cut the roof off – we thought we might use some other parts like pillars and sills for some other car repair. We tried to cut the A-pillar, but that wasn’t easy due to reinforcements inside. Finally the roof was cut open and we were allowed to lift the car to the trailer. 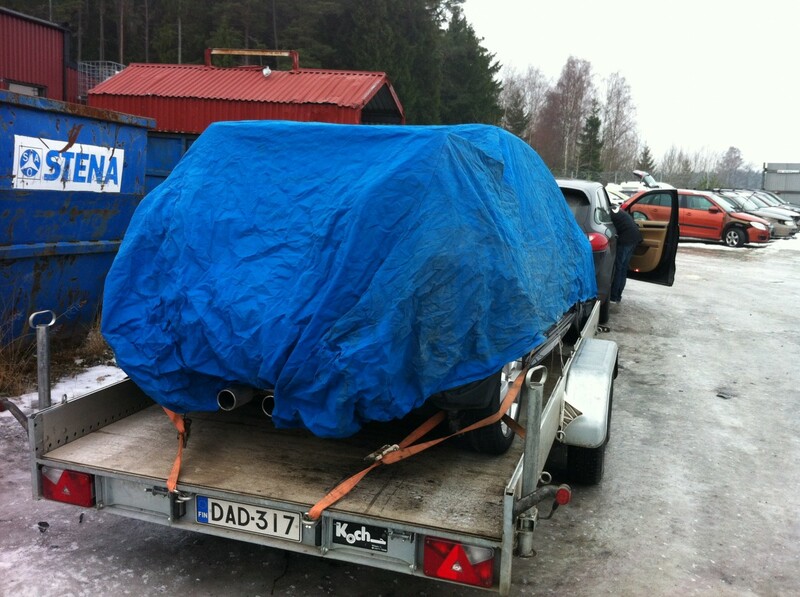 February 13th we were back to Finland and Pekka’s garage. Golf on one lift and Scirocco on another – we were finally able to compare how different the cars were. 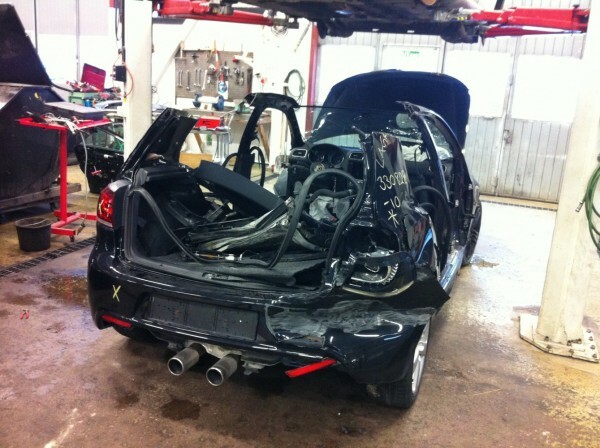 Scirocco and Golf on lifts – comparing what’s different. Not too much – project looking good at this point.